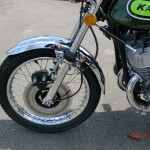 Restored 1974 Kawasaki H2 Motorcycle. 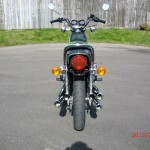 This beautiful H2 Kawasaki was restored by its owner. 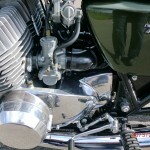 The frame, swinging arm, stands, yokes, headlamp bowl, battery box and other black parts were blasted and powder coated. 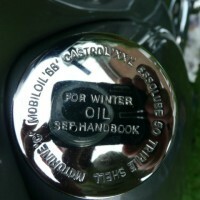 The speedo and tacho were refaced. 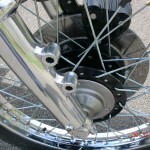 The original Tagasako wheel rims were re-chromed and laced with new spokes. 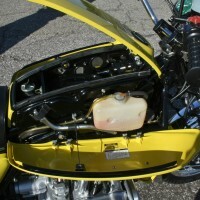 The intake snorkel was replaced. 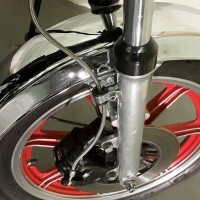 New fork stanchions and seals were fitted. 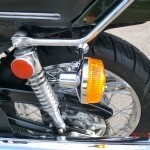 All of the spindles, spacers, nuts, bolts and washers were re-plated or replaced. 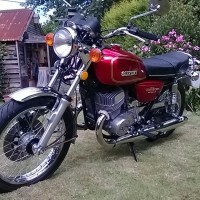 A stunning restored Kawasaki H2 750 Motorcycle. 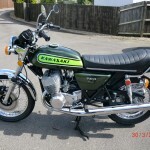 Kawasaki H2 750 – 1974 For Sale or Wanted? 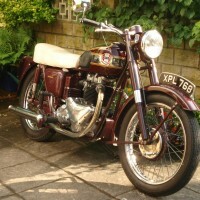 If you're looking for the perfect Kawasaki H2 750 – 1974 for sale then take a look at the hundreds of restored classic motorcycles listed on our extensive Motorcycles For Sale pages. 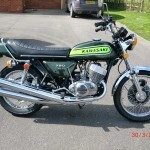 We regularly feature very nice restored Kawasaki H2 750 – 1974 bikes for sale. 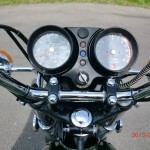 Spares and Parts for your Kawasaki H2 750 – 1974? 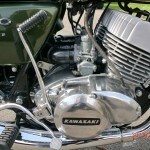 Workshop Manual for your Kawasaki H2 750 – 1974?